Emma & Chloé is a subscription box that sends out one designer piece of French jewelry each month. The pieces typically range in value from $50 to $200, and are plated in gold or dipped in silver. When you sign up, you can choose whether you prefer silver or gold jewelry, and whether you would like to receive earrings or clip-ons. Today, I will be reviewing the May box. 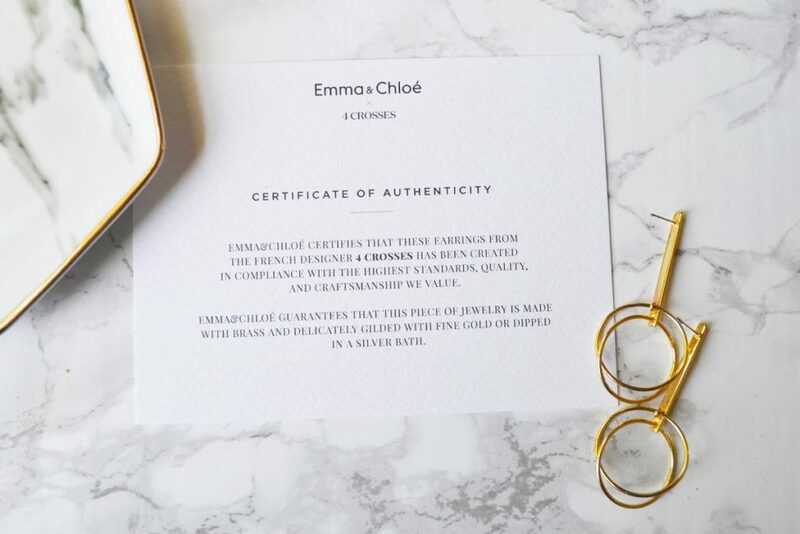 Emma & Chloe collaborated with jewelry designer Sophie Vallouis Gouard, and sent a pair of earrings. 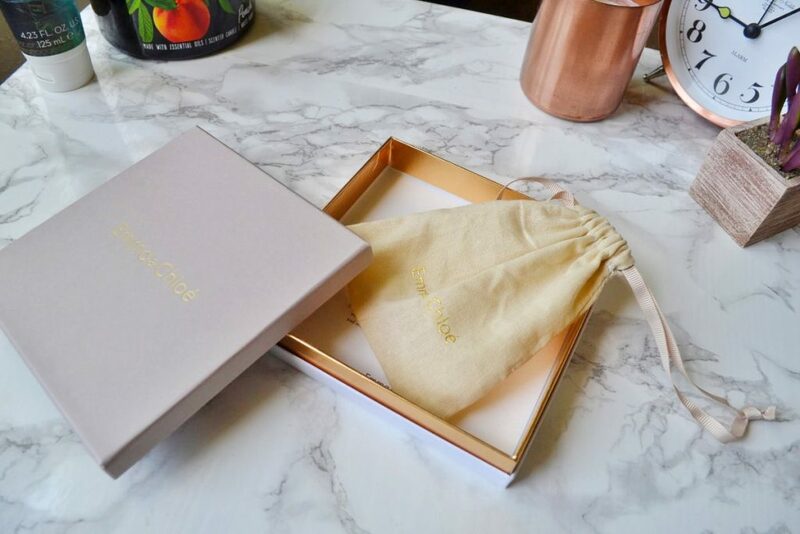 I love the jewelry boxes that Emma & Chloe send out each month. They are very simple and elegant, and quite sturdy. I especially love the gold lettering. Inside the bag is a delicate drawstring pouch, which has the Emma & Chloe printed on the front. There is no packing material inside the box, but the earrings were safe and sound at the bottom of the bag. 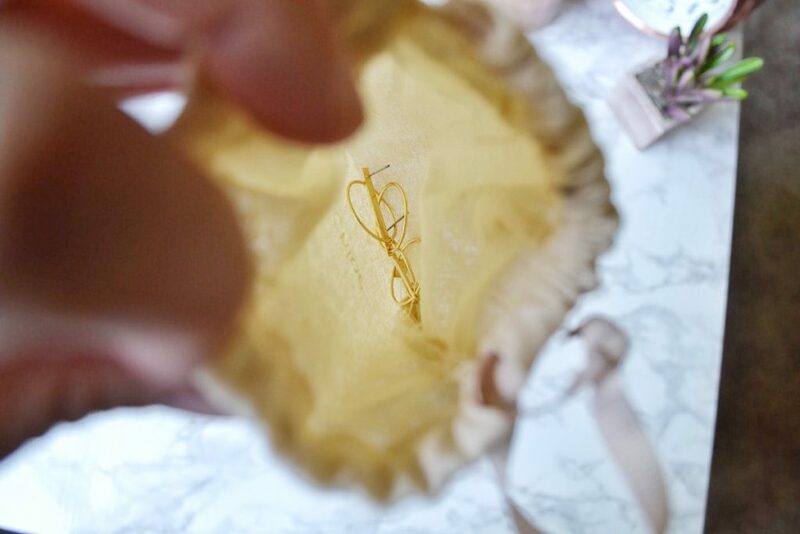 Emma & Chloe sent out a pair of Opera Earrings from Sophie Vallois Gouard’s brand, Four Crosses. Mine are made of brass, and gilded with fine gold. Subscribers could also choose to receive earrings that were dipped in a silver bath. 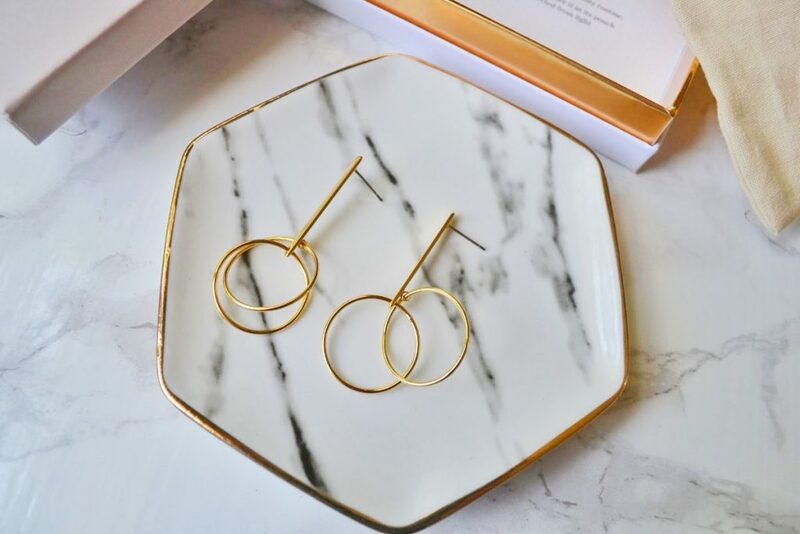 These earrings have such a unique design; I have never seen anything quite like it. 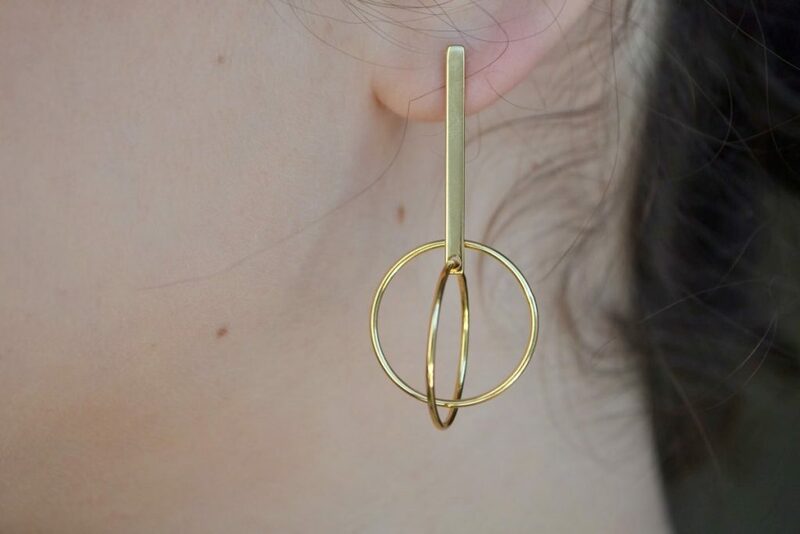 There is a skinny bar that hangs down from your ear, and there are two interlapping hoops dangling at the bottom. The piece feels very minimalist and elegant. 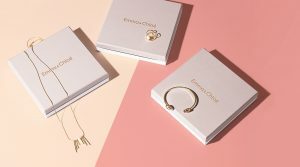 The earrings are worth $120, which is much higher than the cost of the subscription. 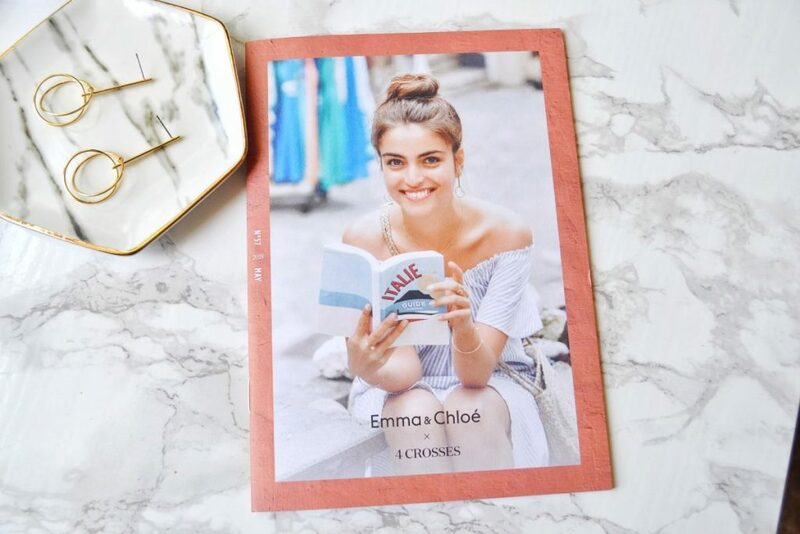 I also received a copy of the Emma & Chloe May Gazette, which is filled with styling tips, interviews, and jewelry wishlists. It is so much fun looking through this magazine every month! My favorite part of the Gazette is the interview with the jewelry designer. Sophie Vallois Gouard draws inspiration from Swedish landscapes and their sense of purity. She tries to incorporate feelings of harmony, sobriety, and rigor into her pieces. The Opera Earrings were inspired by two worlds that intertwine: reality (the rigid bar), and the unreal/artistic (the hoops). 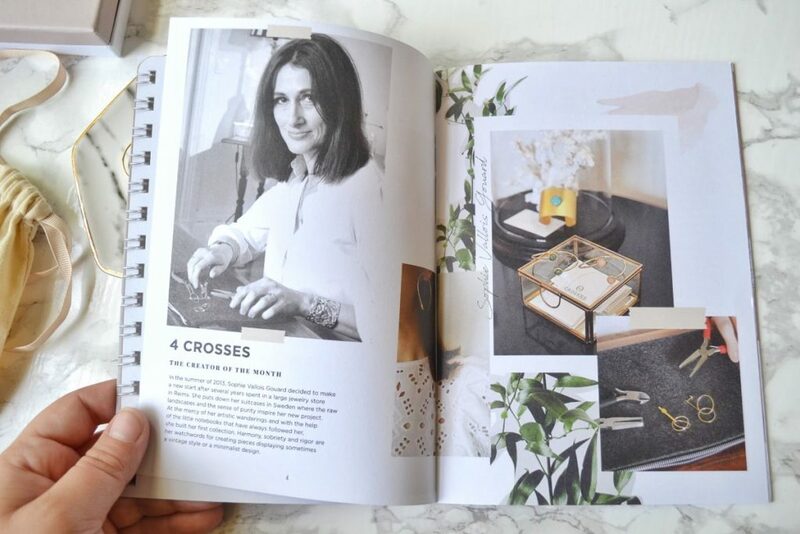 Reading about the designer really helps me feel a deeper connection to the jewelry. 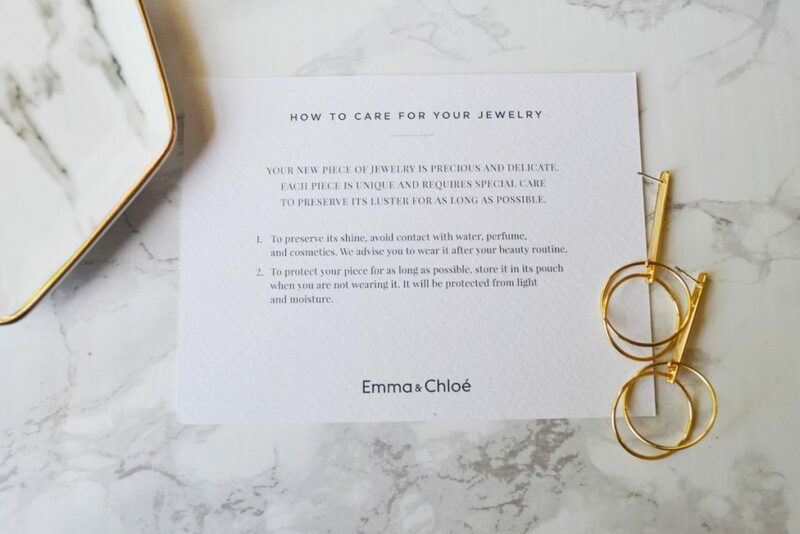 The last item I received was a card with a certificate of authenticity on one side, and tips on how to care for my jewelry on the other side. 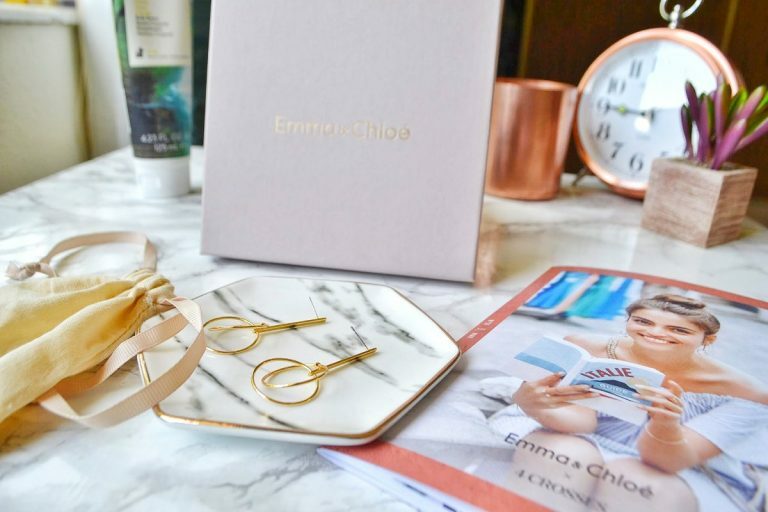 I always look forward to my Emma & Chloe boxes, and this month did not disappoint! 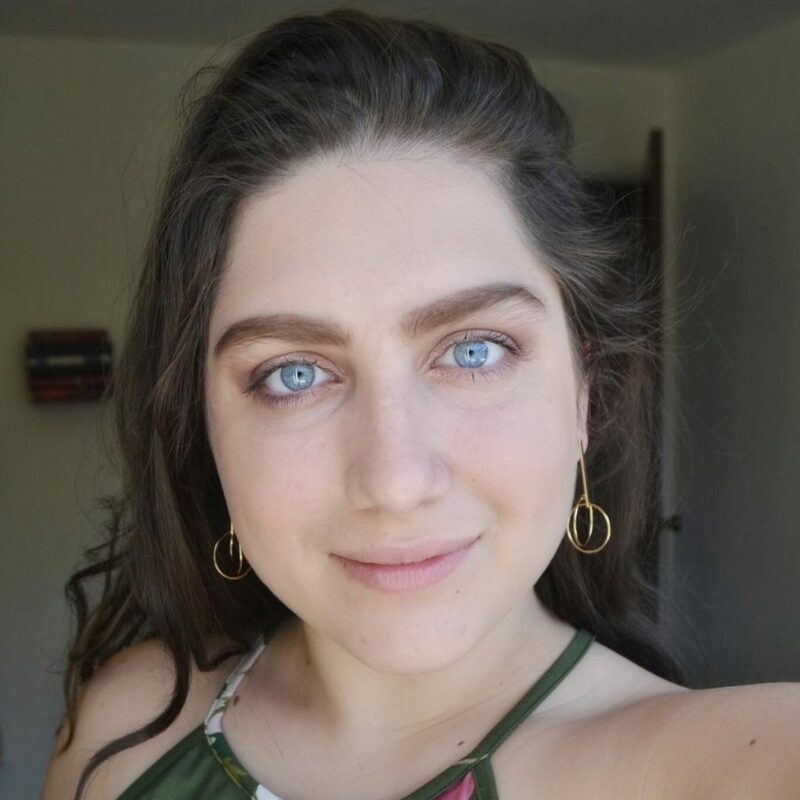 These earrings are so unique, and I have worn them multiple times over the last week. They add a touch of effortless elegance to any outfit, and they are based on such an interesting concept. 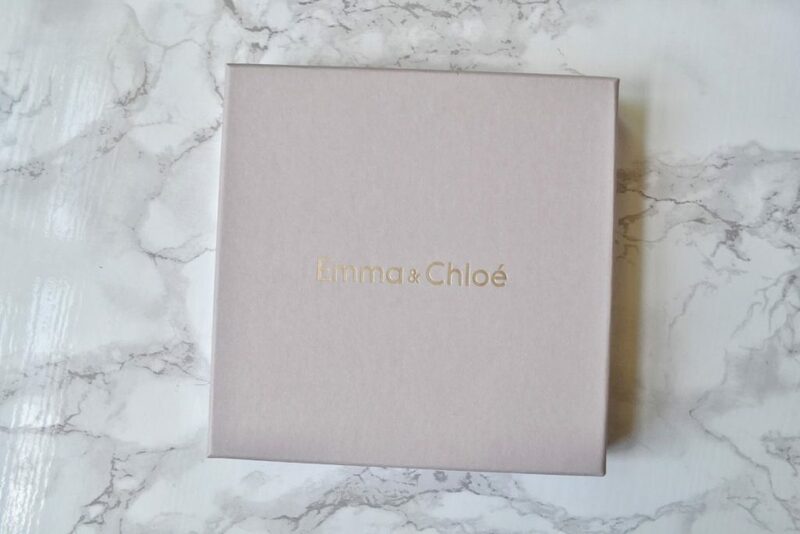 Emma & Chloe is the perfect box to try out beautiful French designer jewelry, without paying full retail price. I love the earrings in this month's box, and the value is much higher than the cost of the subscription. The packaging is beautiful, as always. This was a great month for Emma & Chloe!